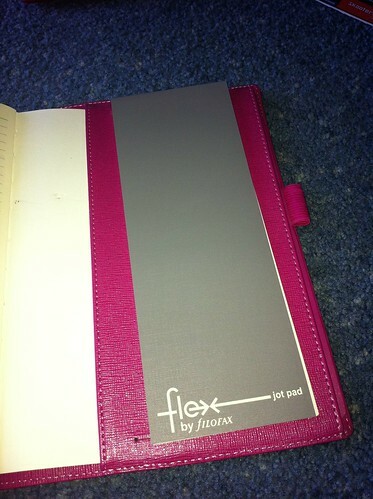 Plannerisms: Philofaxy All Stars Guest Post: Imy's Filofax Flex! 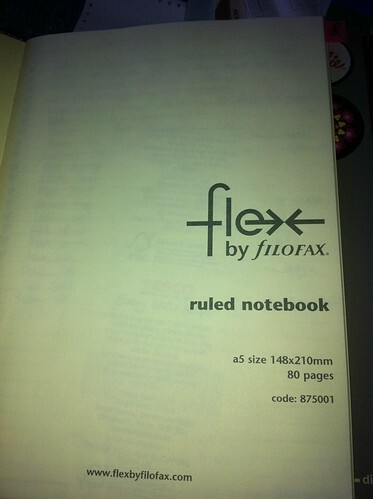 Philofaxy All Stars Guest Post: Imy's Filofax Flex! 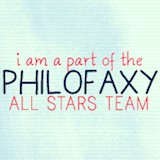 I am doing a guest post for the Philofaxy AllStars Tour! I wanted to write a review on the Flex by Filofax for a long time then I offered to do it for Plannerisms and luckily she said YES! I have it in the LOVELY Magenta, it also comes in Black and Slate! Mine is A5 but it also comes in Pocket and Slim, the range of sizes Is very similar to Personal, Pocket and A5 Filofaxes! The cover is priced at £27.00 which comes with a Pen Holder and a Jot Pad! 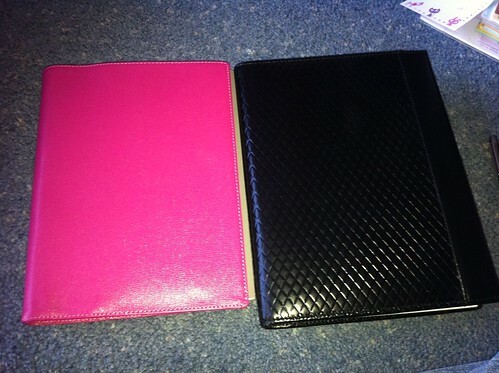 I ordered the Note Book, Pull out 2011 Diary and a 2011/2012 Diary! The Notebook comes in different thicknesses a layouts, you can choose between plain or ruled. The thicknesses you can choose from are either 80 pages or 256 pages! I only have the Ruled 80 Pages, as you can see its just the right thickness as it is! If you want to replace the Jot pads after using them, it will cost £10 and you get a set of 3 with ONLY 16 sheets, they do tear off but this feels like quite a high price for what it is! It may be very nice paper but still I find it far too expensive! To get extra pen holders its £3, but you can only get extra ones in GREY! There is one other thing you can do with them, and that is hole punch them, and put them in a Filofax so you can have extra pen loops, also once you have done that you could stick post its on the card! Well that is a small idea I have! So I will now compare it to my A5 Adelphi to show you the size comparison, which to be honest isn’t too much different! The only difference really is length they are virtually the same width! 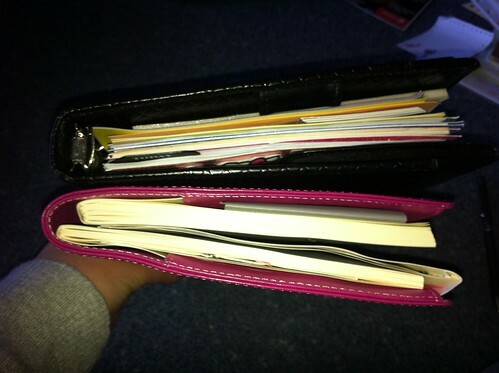 As you can see its actually thicker than the Adelphi, which is a Slimline A5, there both the same width. Here is the pen loop and the Jot Pad which I REALLY do not like because of the price, its just so ridiculous! But I’m sure you can find a similar note pad! But still I was not happy with the width and the cost of it! I find that the pen holder is really tight tho and it struggles to put thicker pens in even though its elastic, its not very stretchy elastic! There are plenty of pockets inside the Flex there are 6 credit card slots and a larger slot below! 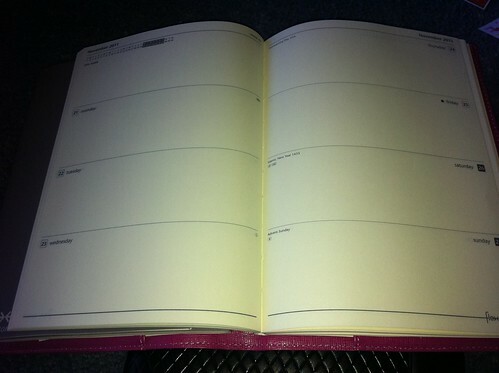 There are 4 slots for diaries and notepads, contact pages etc, what ever you want to put in! You can also fit different standard A5 notebooks in! 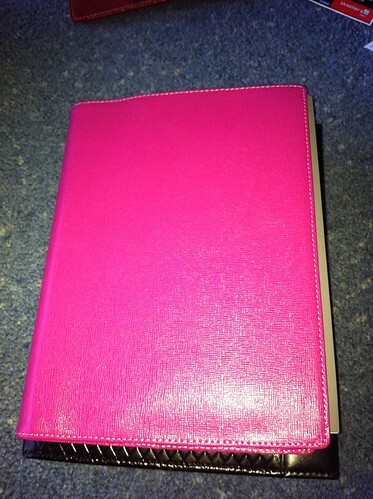 I love the colours of the covers for the notepads and diaries it goes so well with the pink. The inside of the notepad. 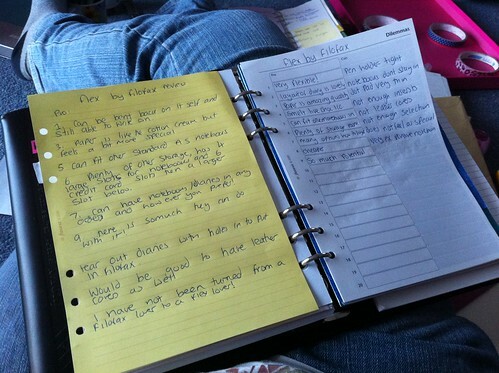 I love the inside coves to the notepads too, it just reminds me of something from school! The paper inside the notebook and diary and all the other paper used for these books is beautiful! There so lovely to write on, there like the Cotton Cream paper, its so nice to write on and feels very nice and smooth for writing on! 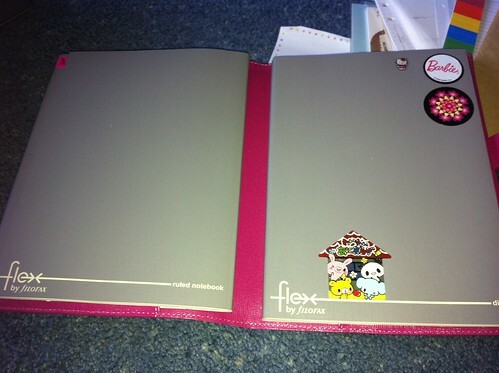 But then the majority of the paper in the normal Filofax is lovely like the colour but obviously the diary paper on normal Filofax pages are a lot thinner and not very nice, I think Filofax should really start to make pages using the paper in the Flex! 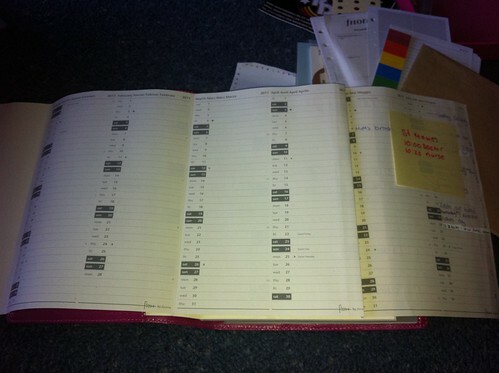 It would be great if the diary had holes in and also so you are able to rip it out! I know that a lot of other people have had that idea as well! So its obviously a great idea! I find that when you move the flex a bit it can cause a bit of trouble as the notebooks can slide out and you have to keep pushing them back in! The diary is just your usually week to view layout, with a notes section which gives you 8 equal boxes, on the pages it shows you the month to view, In the notes section! it’s the same lovely paper and there is plenty of room to write peoples birthday and other events! 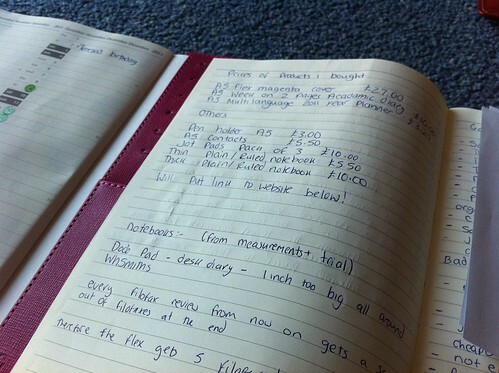 Similar things to what you get with the Filofax but set things! It would add so much to it! Cannot wait to see Edition 2! But for now I cannot leave my perfect A5 Adelphi! See are you can see I wrote all this in my Filofax rather than my Flex but I don’t think I will be changing unless they add so many more things! I agree with what others have said it’s a glorified notebook! 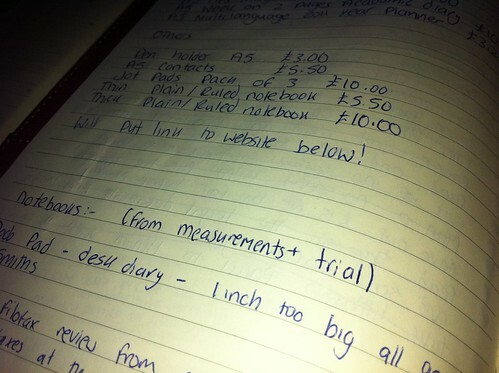 But I feel as if it had other things done it may become a great change from a Filofax! But all the Filofax lovers out there, the one thing that may be useful are, like uni maybe as a notebook as its such lovely paper or college just for making notes outside of your Filofax! Thank you so much Laurie for letting me write for Plannerisms! Many thanks again to Imy for this wonderfully detailed post and excellent photos!